It is here, in the Chugoku region , you can plunge into the world of ancient Japan, with small villages, coastal towns and honoring traditions. 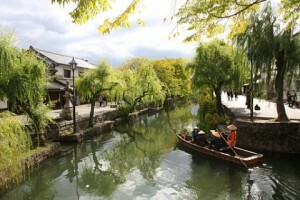 Tours to Japan often include a visit to this picturesque region, located in the southwest of the island of Honshu. 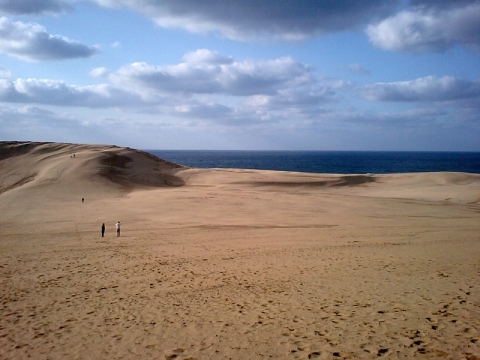 The Chugoku region emit two parts – Sanya – an area covering the coast of the Inland Sea, and Sanin , the area covering the coast of the Sea of Japan. 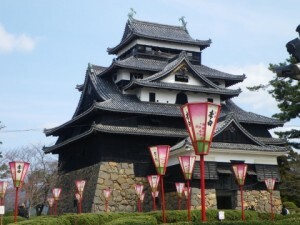 Travel in the region is better to start from Okayama , which is considered the gateway to the Chugoku . Only an hour drive from Shin-Osaka to express, and you find yourself in a world of colors and harmony. Okayama is a beautiful park, where hundreds of flowering plants does not stop all year round, the park is known as Korakuen and has existed since the 18th century. 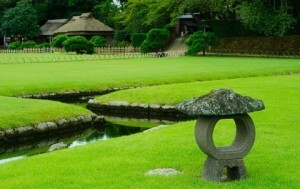 It is a true masterpiece of landscape gardening art, the creation of which the governor of the city took 14 years. Sitting in the train to Okayama, after 15 minutes you find yourself in the city of Kurashiki , which is a walk through the streets will leave a lasting impression. The beauty of old architecture side by side here with the modern dynamic life, and the city retains its own style and sophistication. Tiled roofs and a lot of water channels with willows, their branches to descend to the water – all this gives the city a special finesse and beauty. Here you can visit the art gallery Ohara rich in interesting works of Japanese and foreign art, as well as examples of traditional Japanese crafts. From Hiroshima by train, and then a passenger ship, should go to the island of Miyajima . 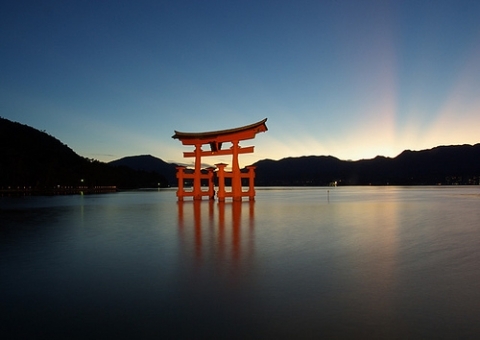 Here is the most beautiful in Japan temple – Itsukushima related to the Shinto religion. All small island, which takes no more than thirty square kilometers, built up the temple buildings, which are united to each other by special corridors, hanging over the water. When the tide begins, view of the island becomes a fabulous and like a mirage – it seems that the temple and temple structures floating in the air. 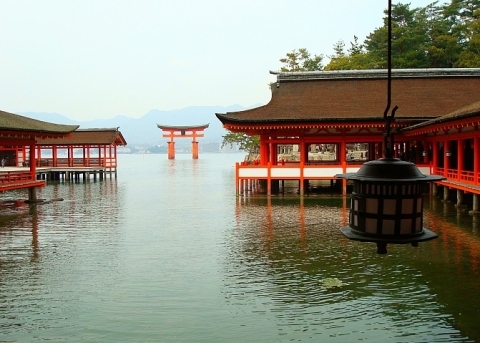 The bright colors of the temple, which is present in the color red camphor shades, in perfect harmony with the color of water and greenery. There are plenty of different festivals, which can be accessed year round. The most popular festival – Kangeysay – takes place in August or late July. During the festival, the temple monks carry their deities on boats decorated with flowers, in the temples on the neighboring islands. This ritual action is accompanied by live music performed by traditional Japanese instruments. 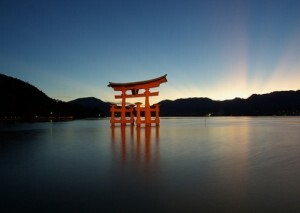 Itsukushima Shrine and Hiroshima Peace Memorial Park are included in the register of protected UNESCO cultural heritage. Another interesting city in the region Chugoku – . Hagi It is the birthplace of many famoussamurai, whose names are inscribed in the history of the country. 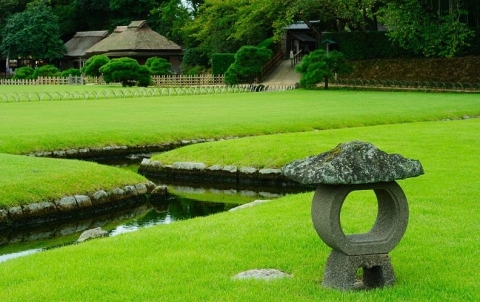 In the vicinity of the city you can find a real samurai residence in the same form as it was centuries ago. The neighborhood of old homes and residences with the temples belonging to the Shinto and Buddhist religions, creating an atmosphere in the city of antiquity, of peace and harmony. Strolling through the streets of Hagi, you can feel the scent of ancient times and the present life of Japan many centuries ago. In memory of the city, you can buy the product of the local ceramic Hagi-yaki , known to the whole world. A bit farther from Osaka, about 4 hours away, lies the town of Tottori , known for its surrounding sand dunes to the north. Early walk on the dunes will appeal to all – you can admire the intricate patterns on the sand, so beautiful that it’s hard to believe that they have created the wind and rain. 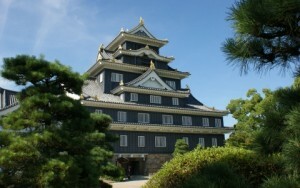 Tours to Japan often include a trip to the city of Matsue, located two hours from Tottori. This place is amazingly beautiful – here Lagoon seamlessly connects to the lake, creating beautiful views. In Matsue many attractions, many of which are closely intertwined with the ancient Japanese myths. Matsue is the central city of the province of Izumo, famous for its temple Taisharelated to the Shinto religion, which is one of the most ancient temples that have survived to the present day. Time has not touched the magnificent structure, wherein the original architecture. It is believed that visiting the temple, the couple find happiness for life.